Meet the People Who Deliver Spark::red's Services. 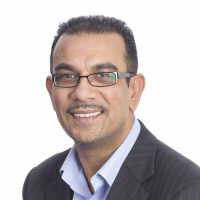 Raj Atwal brings more than 25 years of international experience in information technology, consulting and business development to his role as President, Managed Services at the combined company. As President of Tenzing, Managed Services he was the driving force behind the company’s shift to commerce. Under his leadership Tenzing has provided unparalleled support and service to merchants, retailers and brand manufacturers using enterprise ecommerce software platforms and provided a road-map that supports the digital transformation that many of these companies are under-going. Working strategically with partners and key ISVs, Raj has built a foundation of relationships that are mutually beneficially and deliver value to customers and partners alike. During his tenure with Tenzing, Raj has built the sales and marketing engine that has led to rapid growth over the past three years, launched the Tenzing Talent Management program, invested in the technology innovation division that extends the life of the platforms that Tenzing customers purchase, and focused heavily on ensuring Tenzing operations and service delivery is geared for success and providing the white-glove service that Tenzing customers expect. Raj holds a BSc (Hons) Information Systems for Business, from the University of Wolverhampton, UK. 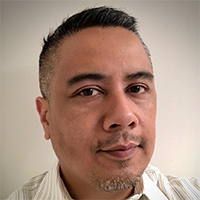 Russell is a senior Oracle Commerce architect and has over fifteen years experience building and managing the largest, most complex websites on the platform. For ten of those years, he worked at AT&T Wireless/Cingular/AT&T Mobility where he served as the company’s Chief Architect of E-Commerce. 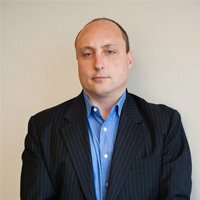 During his time in that position, the website went from garnering a few hundred orders a week to generating $2B in annual online sales, maintaining well over 40% of all US-based e-commerce wireless service transactions, and implementing various Oracle Commerce technologies along the way. Russell has also served on ATG’s customer-based Technical Advisory Council, providing customer insight to ATG’s CTO. Since leaving AT&T, Russell has worked on several projects with various implementation partners, including Professional Services, Professional Access and AAXIS Group. As one of the most knowledgeable senior architects for Oracle Commerce in the world, Devon became the CTO, Managed Services after the combination of Tenzing, Thinkwrap, and Spark::red. 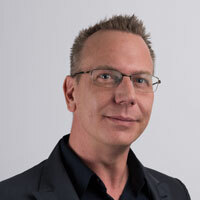 Co-founding Spark::red in 2007, Devon has worked for nearly two decades on the Oracle Commerce platform, and is also considered an expert in JBoss open source platform development. He built one of the first well known Seam-based websites, 10minutemail.com. 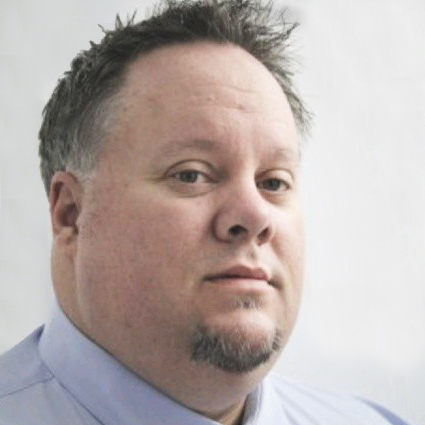 Devon’s Oracle Commerce history traces back to 1998, when he began working at ATG as a senior ATG architect (later rebranded as Oracle Commerce) for both Professional Services and Sales Engineering. He has extensive accomplishments throughout his professional career focusing on Oracle Commerce technologies, including work for AT&T Wireless/Cingular, People’s Choice Awards, Scotts, and Ulta Cosmetics. Devon has proven expertise in creating and maintaining high-volume Oracle Commerce implementations. 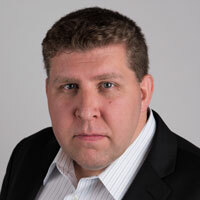 James contributes over two decades of wide-ranging management and consulting expertise to the team. With extensive hands-on change management experience he’s helped nearly 100 tech companies navigate critical transitions. 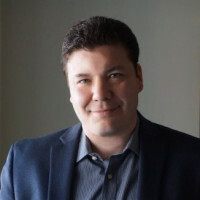 James served as the Vice President of Strategy for Spark::red for over 4 years culminating in the merger of the company with Thinkwrap Commerce and Tenzing in 2018. 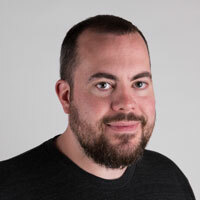 Ben brings over fourteen years of Oracle Commerce experience to the Spark::red Support Team. For six years prior to joining Spark::red he managed the Systems Engineering, Application Support and Performance Testing Team for AT&T eComerce. 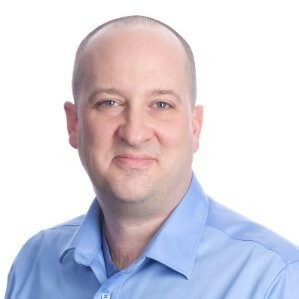 Ben leads systems administrators and application support teams along with DBA resources located in Redmond, Boston, Europe, and other remote sites. Elizabeth Scott leads Tenzing’s Client Success Team responsible for the strategic account management of Tenzing’s existing clientele. Elizabeth joined Tenzing in 2008 to build our Service Desk and her focus on performance through automation, process improvement, and improved technical skillset saw her grow that team to include three tiers of support, the Technical Account Manager program and more. In 2016, she made the leap out of Information Technology operations when she moved over to the newly formed Client Success Team. Inspired by her experience working with retailers, Elizabeth created Tenzing’s Cyber Week and Holiday Season Preparedness Programs to ensure Tenzing infrastructure and teams were prepared for the holiday season. She has also developed a Campaign Best Practice program to help ecommerce customers extend the life of their infrastructure during peak periods. With previous experience at HP, Elizabeth is an ITIL practitioner with over ten years’ experience in IT support and service. Ira joined Tenzing in December 2015 with a mandate to bring focus and structure around their talent practices. 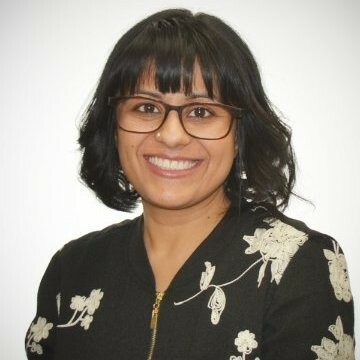 As Director of Talent, Ira works closely with the leadership team to drive impact around key initiatives relating to Talent Acquisition, Management & Development to build a high performing and motivated workforce. She holds an MBA in Human Resources and has worked for over 14 years across some of the leading Multi-National organizations and in diverse industries viz. Banking & Financial Services, Pharma and Technology Enabled Services. During her career, Ira has led and supported transformation efforts and worked with organizations at different stages of their lifecycle. These experiences have added to her subject matter expertise within the ‘Talent’ domain and enhanced her ability to be a credible advisor for the business. High on her list of current priorities is ‘building a culture of continuous learning at Tenzing’. Chris has been working with technology in the Internet, ecommerce and Hosting industries for close to 20 years. From the days of dial-up ISPs to managing ecommerce infrastructure for well-known brands, Chris has always been a key part of the technology teams where he has worked. Starting as a systems administrator, Chris quickly expanded his skillset to include a broad range of technology in the Internet space including data center management, telecommunications, transaction processing and cloud computing. 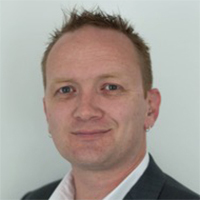 Chris has been leading infrastructure management teams for 15 years and is known for a ‘hands-on’ approach. Chris joined Tenzing in 2013 and is responsible for architecture, engineering, and development. 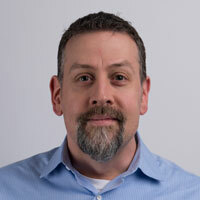 Chris plays an instrumental part in creating Tenzing’s service offerings and is a Certified Scrum Product Owner. 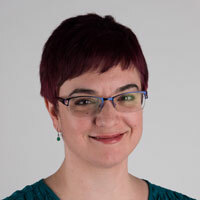 Becky comes to Spark::red with fifteen years of experience with the Oracle ATG Commerce product stack. She began with ATG in 1999 in Customer Support, quickly advancing to Senior Engineer and ultimately becoming the East Coast regional Support Manager for Oracle Commerce products. Becky’s focus is on providing accurate, timely support to our customers and coordinating and utilizing resources around the globe to ensure customer success. Ed’s tenure in Information Security spans more than 20 years and includes managing security and IT systems for such companies as Starbucks, Expedia and Sur La Table. Through this extensive experience he has developed a well-rounded understanding of retail business, eCommerce technology, and the Information Security risks and obligations organizations face today. Ed is in charge of the Spark::red systems’ security and ensuring their compliance with leading industry standards. Randy Haug leads Tenzing’s Customer Operations team responsible for strategic management and day-to-day operational support of all customer facing managed services. Randy joined Tenzing in 2017 with a specific focus on establishing our service delivery and operational capabilities through tools, process automation, service management best practices and the effective delivery of managed services to Tenzing customers. 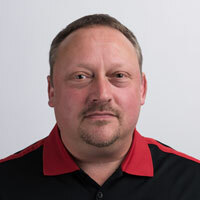 Randy is an ITIL practitioner with over 20+ years of experience in Service Delivery and Technical Operations. Prior to joining Tenzing Randy held strategic leadership roles in service delivery and operations with Techify, HP, Loyalty One and Telus. Michael Knox’s 20+ years in IT including 10+ years in Infrastructure IT enables him in his role as Director of Infrastructure to oversee the delivery of our organization’s large-scale Infrastructure IT projects. At the start of his career, Michael dealt with the basics of hard drive swapping, then spent a number of years as a Fedora for Linux contributor, became a Unix operator, and was quickly moved into engineering, then design. He oversaw the foundational infrastructure delivery for a national telecommunications company as principle infrastructure specialist, where he managed day-to-day operations for mid-range teams supporting government, law enforcement, manufacturing, and telecommunications in a 24×7 capacity. Now, he is engaged at TTS, collaborating with diverse stakeholders to exchange complicated information across the entirety of the business’s platforms, with a hands-on approach to the organization’s technology. With over 15 years of experience in roles traversing operations, engineering, and architecture, Dave has worked with organizations of various sizes in sectors such as commercial real estate and foreign exchange. Originally joining Tenzing in late 2012, Dave was a primary contributor to Tenzing’s then nascent public cloud delivery strategy and its initial implementation in early 2014. Currently leading the Platform Engineering team, Dave continues to focus on adoption and integration of strategic and forward-looking technologies that deliver tangible value to internal teams, partners, and customers alike.